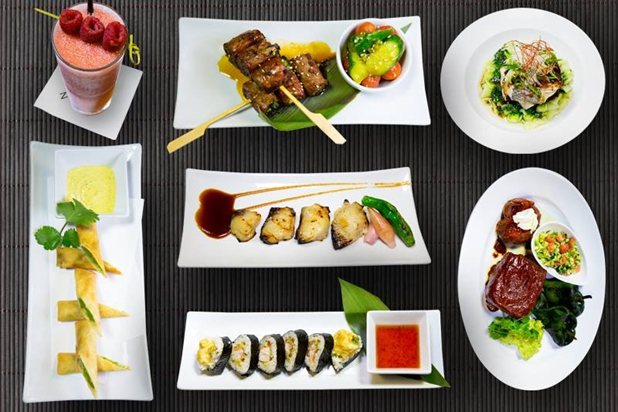 You are here: Home » Is Asian Fusion Cuisine Dead or More Interesting than Ever? Is Asian Fusion Cuisine Dead or More Interesting than Ever? “Fusion” as a descriptor for food has gone out of style, and often leaves a bad taste in one’s mouth – reminding one of unauthentic and uninspired Asian Fusion restaurants. “Fusion Cuisine” was coined in the 1980’s by Florida chef Norman Van Aken, who borrowed the term from a style of music that combines Jazz, Funk, R&B and Rock n’ Roll. The style was then made popular by Wolfgang Puck who opened several Asian fusion restaurants on the west coast. But true Asian fusion cuisine has its roots planted far earlier, since what “fusion” really signifies is a mixture of culinary cultures – the first American Chinese restaurant opened in 1849! These Chinese restaurants were owned and operated by Cantonese immigrants (mostly from Guangdong). Chefs quickly realized they needed to appeal to American tastes, leading to the creation of an American Chinese cuisine that most Americans are very familiar with to this day. As the fusion food style became very popular and mainstream in the 90’s, push back started coming from chefs, criticizing the influx of Asian fusion restaurants and seeing the food as lazy and lacking creativity. Some saw the food as a misappropriation of Asian culture where ingredients were taken and used without studying traditional recipes and cooking methods. In the 2000’s, there was an enormous trend of developing authentic American cuisine with strong demand for organic local farm-to-table restaurants. But it’s more or less impossible to completely ignore all outside influence and ingredients in the kitchen, and if America really is a melting pot of culture, then isn’t there nothing more American than fusion cuisine? Here at ChefUniforms.com, we believe fusion cuisine to be a mixture of a chef’s life experiences and an expression of their true artistry. 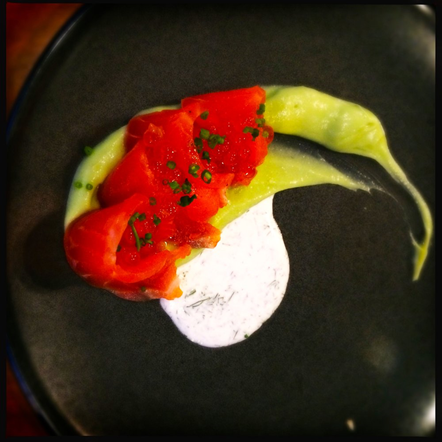 We believe that chefs craft food as an expression of their self and American experiences, i.e. Cook what you want, who cares what it’s called. In recent years fusion has made a comeback, although many chefs are quick to renounce that title, preferring to call it “Americanized Oriental Food” or “modern-American cuisine.” There has been a proliferation of new restauranteurs with a focus on Asian street foods, Baohaus in NYC started by chef Eddie Huang only uses traditional Asian ingredients and recipes but restaurants such as Mission Chinese Food started by chef Roy Choi have a wider interpretation of traditional foods. 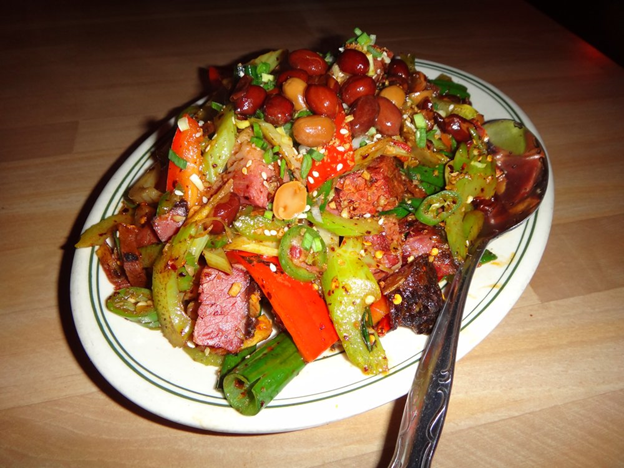 The San Francisco based food truck-turned-restaurant has dishes such as Kung Pao pastrami, thrice cooked bacon with rice cakes and cumin lamb ribs. With the globalization of the world, it is easier than ever to learn about other cultures and visit them too. At Crane and Turtle in Washington DC, a restaurant that blends French technique with Japanese cuisine, Chef Makoto Hamamura brought his line cooks with him on a 10-day food pilgrimage in Japan in order to better understand Japanese techniques and food history. We see that nowadays chefs truly respect the ingredients they use and the cultures they are from, and are constantly innovating, pushing American cuisine into uncharted waters. What are your opinions on Fusion Cuisine? Is it played out or are we entering the heyday of innovation in food culture?